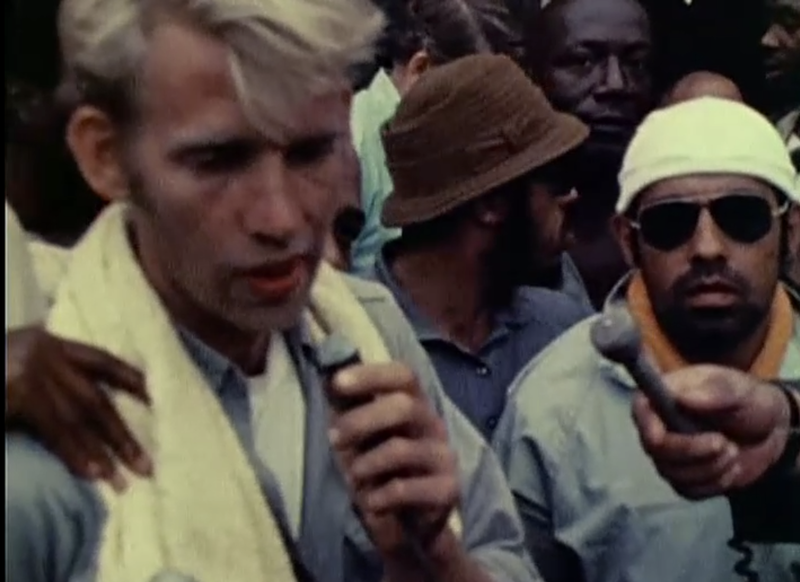 In April of last year (1974), Jane Fonda, Tom Hayden and director Haskell Wexler (Medium Cool) made a trip to North Vietnam (they were refused visas to the South). 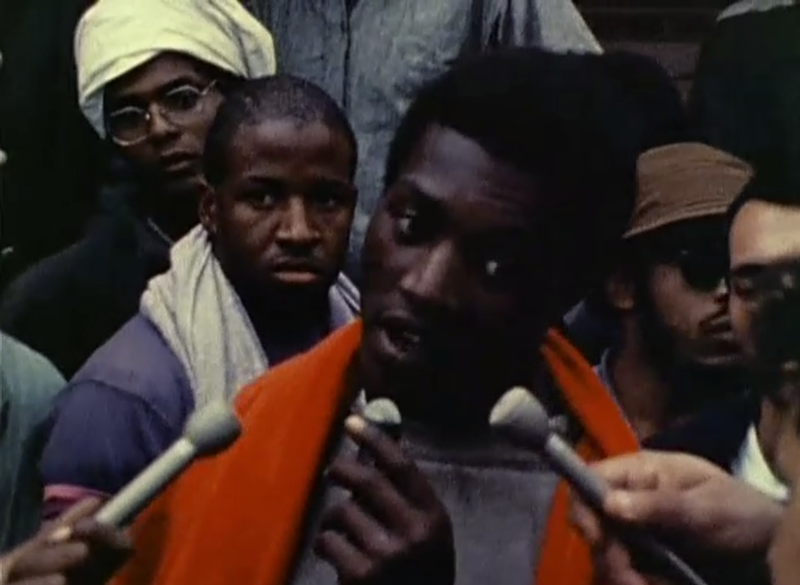 Introduction to the Enemy is a film they made of their interviews with a cross-section of the people. It cost $20,000. Some years ago I travelled in Algeria, and from that experience I have no reason to doubt the accuracy of this portrait of Vietnam. There is nothing quite like a long and successful revolutionary war to invigorate and unify a people. Nor is it surprising that the Vietnamese are gracious and friendly to Americans, or the Algerians to the French. I suspect that today in North Vietnam one could have the unique experience of seeing an infectious paradigm of a society at its euphoric peak. For a sympathetic American such an encounter would place him or her in the position of a starving peasant gazing into a King's banquet hall. I can imagine this, partially, but I cannot find it in this film. Rather than respectful contemplation, these pictures bear a resemblance to the breezy sort of TV news report, complete with an on-the-spot commentator. 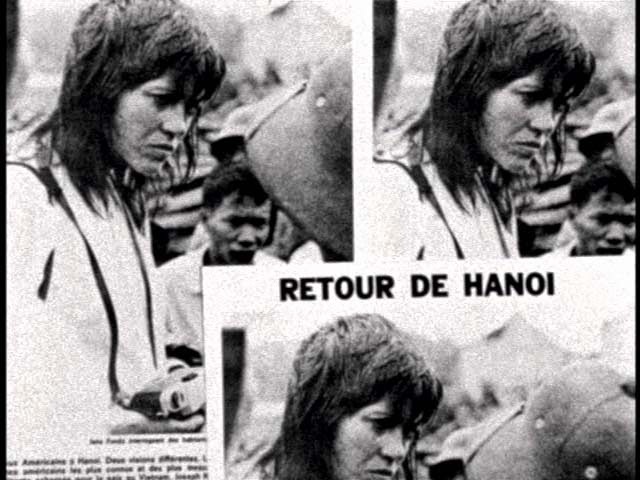 The wisdom of this approach for Vietnam seems most dubious as one watches the ubiquitous Ms. Fonda gesturing and struggling to translate the simple French phrases of a Hanoi author whom she is interviewing. 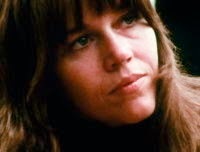 I am always happy to watch Jane Fonda, and to listen to her, and I am glad she was awestruck, but she tended to overwhelm the vibrations of the country and its people. The result of this is a sort of Alice in Wonderland, without the wonderland. A woman -- the commanding general of the Viet Cong forces -- says that the U.S. lost because it tried to fight guerrillas with regular tactics; guerilla warfare is a people's war; the U.S. used helicopters to speed troops where they were needed; it failed to realize that the people are everywhere. But, unfortunately, nearly everyone Fonda and Hayden talked with seems to have responded by parroting the official line, and in the most ideological terms. I say "unfortunately" not because the filmmakers accept these replies unquestioningly, but because these verbal cliches are, for the most part, the closest the film gets to the souls of the people. It is not enough for a documentary to show smiling faces and to freeze a few close-ups. And a good documentary needs all the potent and concise editing that is lacking in these lackadaisical 65 minutes. 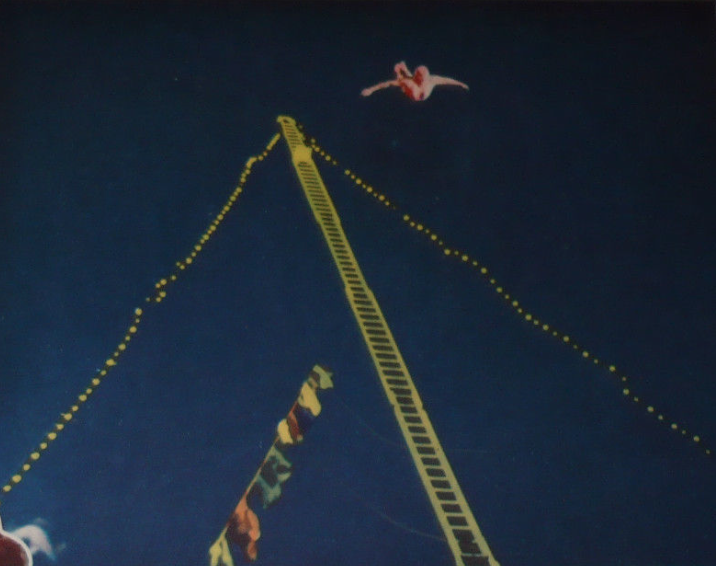 "I never saw it," she replied, "but I read the script and then I filed it away as an example of..." (here ensued a choking 15-second struggle for the right words while swinging her arms like a helicopter) "...narrow-minded male chauvinist sectarianism." Originally published in Take One, Jan-Feb 1975. Furthering a conflation of cinema, the image, reality, renown, ideology, history, and revolution -- part and parcel of both Introduction to the Enemy (seemingly in the negative) and Letter to Jane (in the positive) -- it's worth mentioning that Jane Fonda later chose to title her published journal of the Vietnam trip "Birth of a Nation". Today, the film Introduction to the Enemy is completely unavailable, as if expunged: impossible to find commercially or in the underground trade. There is an entry for it, almost ironic, in the [Ted] Turner Classic Movies database; with the listing's empty "genre" and "user review" fields we are told less than: this film exists or existed. 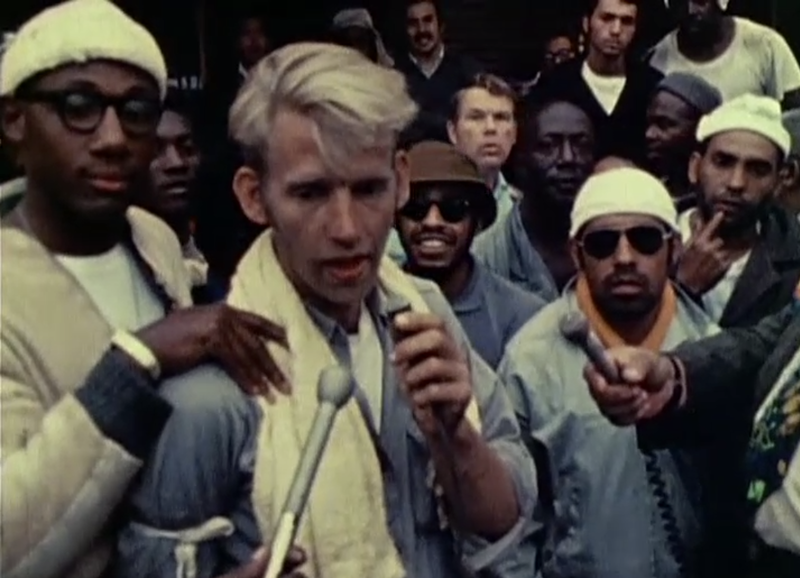 The same expurgation from history is true of another 1974 film made by a woman, a film in dire need of revival, and I'll take this opportunity to bring it up in the hopes that others will be interested and help make it available: Attica by Cinda Firestone, about the 1971 revolt of prisoners against unbearable conditions at Nelson Rockefeller's Attica Correctional Facility (near Buffalo, New York), where inmates successfully took 40 guards hostage, held discussions and spoke with press in the yard, practiced unheard of racial unity, and put forth a manifesto demanding the removal of the warden, better conditions, and amnesty. Rockefeller approved nothing but a military attack on the occupied prison, a repression and massacre that killed thirty-one prisoners, with the remaining inmates being beaten and tortured by guards after the restoration of the State's order. All of this is in Firestone's film... 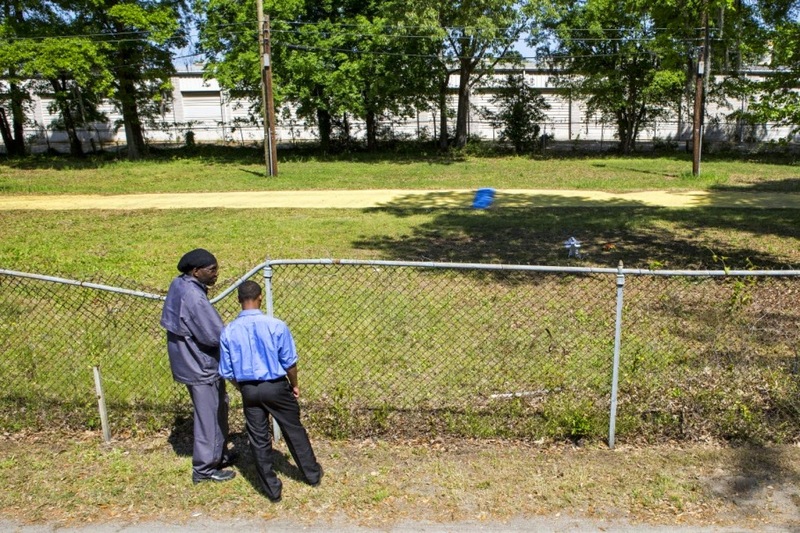 The importance of Attica today is inestimable. Hello ! Have you seen this film "Attica" ? Do you know where I can find it ? 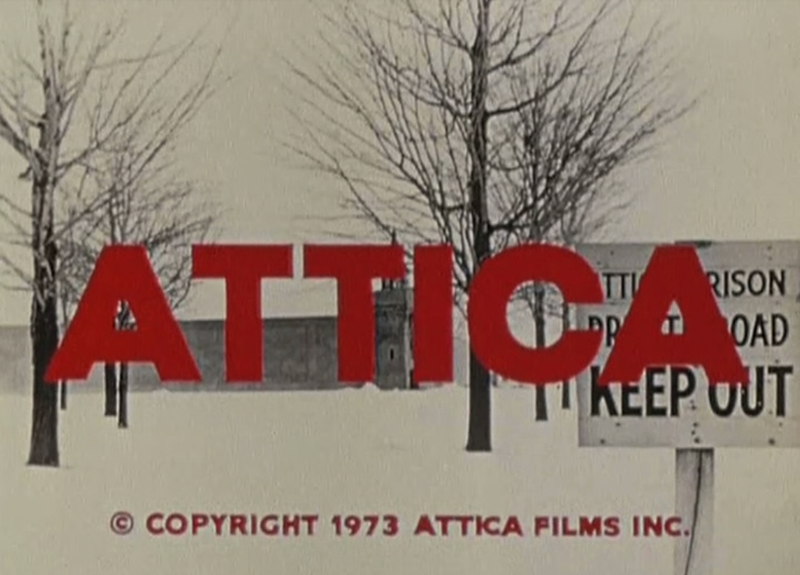 Just moments ago I found out that the filmmaker Cinda Firestone has made ATTICA available HERE.